For more than seven years, Derk-Jan Eppink worked as a senior official behind the scenes in the European Commission. The Commission is not well-known to the general public, but makes decisions which affect the daily lives of almost half a billion Europeans. Now that he has left the Commission to take up a new job in New York, Eppink looks back on his time in Europe. 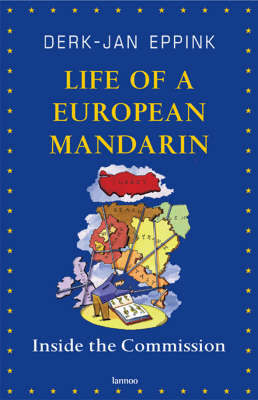 Eppink's book gives the reader a rare and ironic glimpse of life in Europe's corridors of power. In his inimitable style, he sketches a portrait of the 'European Mandarins', the European Commission's senior administrators, of whom a German Euro-Commissioner recently said 'they have too much power and are too little controlled'.